Oct. 26, 2017 2:00 p.m. 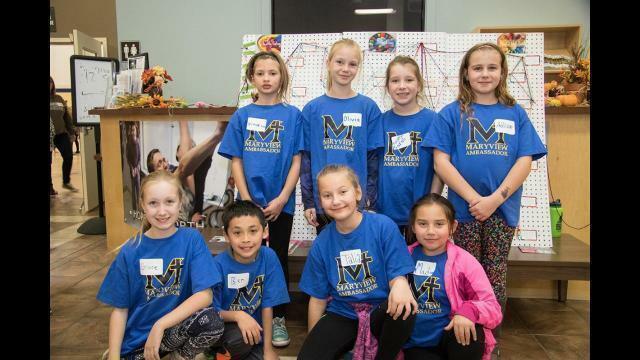 Ever Active Schools held their Healthy Active School Symposium at CrossRoads Church to help groom young leaders in school communities throughout Central Alberta. The symposium, which is funded through Alberta Health Services, the Be Fit for Life Network and the Communities Wellness Fund, allows students to participate in a variety of activities in the fields of art, dance, healthy eating and leadership. Theal said the events all focus on the overarching themes of healthy eating, active living, mental health and learning. She added collaboration among schools is also a focus of the program. “We really want the school teams to connect with each other, but we are also want them to go outside their comfort zone to connect with other schools,” she said. “This morning we had a poster gallery walk, where each team highlighted some of the things they are proud of in their school. The event is a provincial operated, but is run with the help of a local committee which forges partnerships with groups like Red Deer College, who provided several of the sessions. The feedback from the community has been positive, according to Theal. Action planning is core component of the day and each group gets together at the end of the day to set their goals going forward. “Schools are telling us the day is really supporting building those action plans and they are seeing those plans come back to life in their school communities two, three, four, five months later,” Theal said.